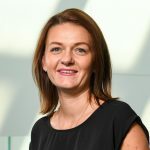 Dr Maree Bilandzic’s research program has a strong focus on the most significant challenge to cancer management, metastatic disease, and defining molecules involved in the early events of metastasis. 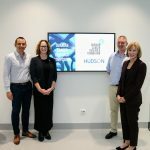 She has been fortunate to receive support from philanthropic organisations such as the CASS foundation and the Ovarian Cancer Research Foundation, to establish a stream of research that centres on her expertise in ovarian cancer and its preferential metastasis to the peritoneum, lung and liver. These studies are facilitated by strong clinical collaborations within the Monash Health Translation Precinct. 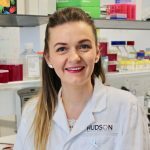 She believes that understanding the molecules and pathways controlling critical stages of metastasis is essential to enable the development of treatments that specifically counter the dual problems associated with chemoresistance and tumour spread. 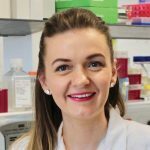 Her work utilises novel methodologies and unique 3D microenvironment models to investigate the invasive behaviour of cancer cells, pinpointing proteins that are expressed at the earliest stages of cancer cell invasion for therapeutic application. Samardzija C, Greening DW, Escalona R, Chen M, Bilandzic M, Luwor R, Kannourakis G, Findlay JK, Ahmed N (2017) Knockdown of stem cell regulator Oct4A in ovarian cancer reveals cellular reprogramming associated with key regulators of cytoskeleton-extracellular matrix remodelling. Sci Rep 7:46312. Wang Y, Bilandzic M, Ooi GT, Findlay JK, Stenvers KL (2016) Endogenous inhibins regulate steroidogenesis in mouse TM3 Leydig cells by altering SMAD2 signalling. Mol Cell Endocrinol 436:68-77.